Radio Mirchi Advertisement Rates 2018 – Searching for Radio Mirchi Advertisement Rates 2017 & 2018 find rates and how to radio advertisement rates are calculated here. Radio Mirchi Advertisements can be booked across the country in, At Exopic Media you will get Best rates. Radio Mirchi Ad Rates: If the cost of an ad is listed as Rs 600 for a radio station in a city, it means its the pricing unit of 1 jingle played for 10 seconds If advertisers play a 60-second Ad 4 times for 7 days, the cost would be Rs. (600 X 60*4*7)/10 = Rs. 1,00,800. 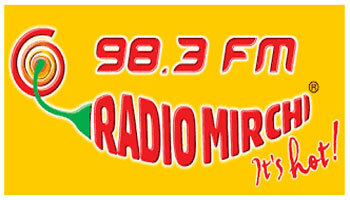 Exopic Media offers advertising solutions in Radio Mirchi FM 98.3. We offered Best Radio Mirchi Advertising Rates 2018 and 2017. For more details and advertisement related query, please write to us at info@exopicmedia.com, Or you may also call us at +91-7678237402.